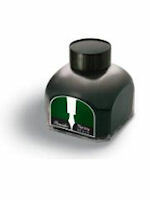 Pineider fountain pen ink and refills for rollerballs, ballpoints and pencils. Pineider has the pleasure to introduce the new writing instruments, which are the result of innovative materials and high-end design. They reference the distinctive signs of Tuscan cultural tradition, the guibellin swallow tailed crenellations, the sinuous skyline of the Tuscan valley and the tiny stone which embellish the clip give birth to writing instruments which have become an instant modern Pineider classic. The writing instruments, as every other Pineider product, are exclusively made in Italy and can be personalized as required. 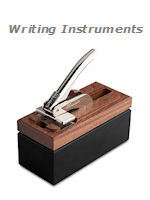 Pineider introduces five charming writing instrument collections which represent a bridge between the classical tradition and the use of new materials and innovative design. Ego 4 is the new collection and is a real jewel, in methacrylate and sterling silver. 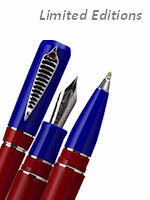 The fountain pen has a white gold nib with Pineider crest on it. 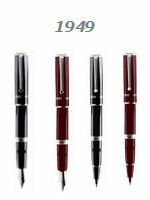 Other Pineider fine writing instrument collections are Egosphere, 1949, Acquerello and The Embossing Hand Plier Presses.